Serra’s legacy has been distorted. Taking the controversy head-on, this composition aims to bring clarity to Serra’s heritage. Christian Clifford’s passion for the topic and presentation will help the fair-minded see the first saint canonized on American soil in a clear and concise way and as one worthy of inviting on one’s own faith journey. Going beyond the standard biography and drawing from many disciplines, the author paints a vivid picture of Serra during his time and through the years. 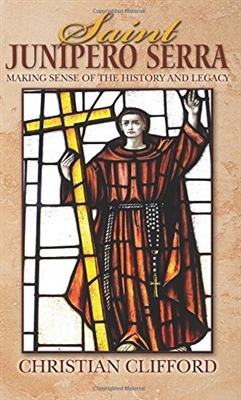 This book is written with Catholic high school students, parents, and religious educators in mind. However, anyone who is interested in the man Pope Francis called the "Evangelizer of the West" will deepen their understanding of this amazing Catholic Hispanic.